Totem.com.pl sp. z o.o. sp. 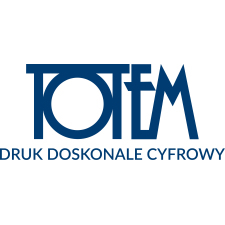 k.
Totem.com.pl is the largest digital printing house in Poland and one of the most innovative in Europe. We focus on short and medium-run book production and produce over 4 million publications a year in all kinds of binding. Top quality of prints helped us build confidence of partners all over Europe, where we export 60% of our production. We constantly monitor all production stages as well as the final result to give our customers full satisfaction. We have thrice won national accolades for best digital printer (2015, 2017, 2018).